New plan calls for leaner management, second product, even an IPO – if it can stay in business long enough. 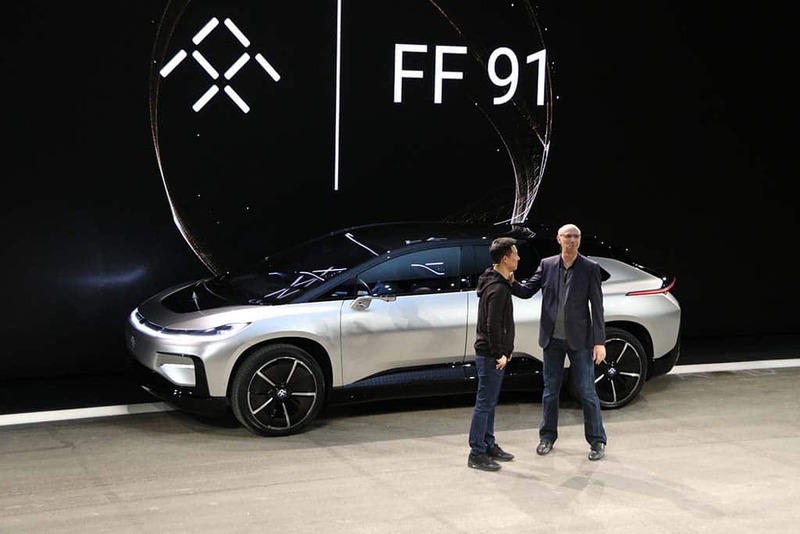 In better days: Jia Yueting and Nick Sampson, helped unveil the FF91 at the 2016 CES. Only a matter of weeks ago, battery-carmaker Faraday Future seemed ready to turn out the lights, co-founder Nick Sampson resigning and then declaring in a blog post that the company was “effectively insolvent.” But, despite a seemingly endless series of crises, including one that forced it to cancel a planned assembly plant in Nevada, Faraday’s new management team continue to project a surprisingly bullish take on their future. 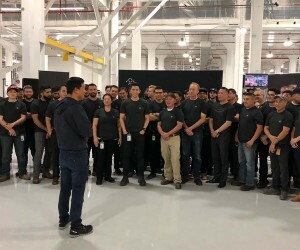 Late Tuesday, in fact, the California-based company released a statement outlining its plans for the future, which included a new, “lean management” structure, and “fortified product plans” that not only include the original FF91 supercar but a second, more mainstream crossover. Of course, there is the minor issue of finding the necessary cash. Faraday’s latest crisis was kicked off when China’s Evergrande Health Industry Group backed out of a deal that was supposed to generate as much as $2 billion in capital. For the moment, the automaker says it is on the hunt for $500 million to get it back on track. To help win the necessary funding, Faraday called on Jia Yueting, the Chinese billionaire entrepreneur who was the company’s original backer – but who had to back away two years ago due to his own financial problems. The all-electric FF91 is also supposed to feature full autonomous capabilities. Whether the CEO’s pledge is enough to provide a foundation for the struggling company is far from certain, however. Along with the departure of Sampson, a former Tesla employee, virtually all of Faraday’s founding team has now departed, including Dag Reckhorn, senior vice president of global manufacturing. Meanwhile, Faraday has rapidly thinned the rest of its corporate ranks, starting with a massive layoff in October, followed by a furlough that began this month and which, officially, is to last until the beginning of February – if there is a company to come back to. Those who remain on the job have had their salaries cut by as much as half. Faraday has burned bridges everywhere possible. It walked out on a plan to build a factory near Las Vegas. A number of its 177 suppliers claim to be unable to get paid. It is working with banking firms Stifel Nicolaus & Co., and its subsidiary Miller Buckfire & Co., to salve relations with suppliers while also going after new cash. The company originally hoped that Jia would be able to fund its operations but the man often referred to as “China’s Steve Jobs” ran into his own financial headaches, complicated by a souring relationship with Chinese regulators. Things seemed to turn bright when China’s Evergrande Health Industry Group came onboard, agreeing to provide $2 billion in funding. But that deal quickly went south, as well. 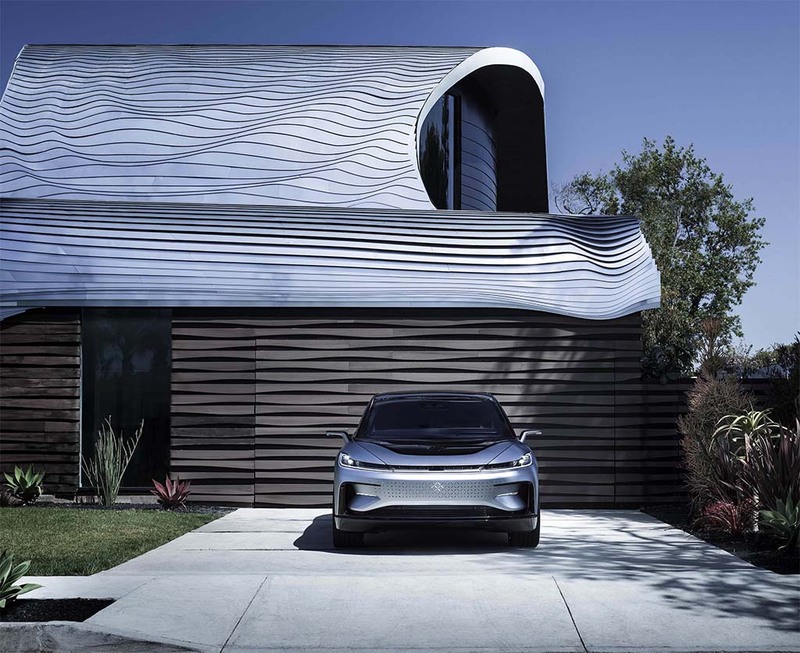 Faraday sued Evergrande in Hong Kong and, last month, the courts gave the carmaker permission to sever ties and seek new backers. Despite all its problems, Faraday’s remaining management team continues to take a cautiously optimistic view of the future, among other things, declaring plans to build a second vehicle. 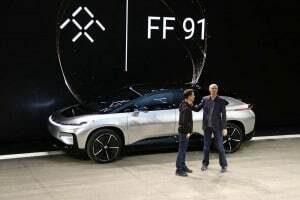 The FF81, at is now to be produced at Faraday’s new plant in Hanford, California, alongside of the original FF91 that was unveiled, in concept form, at the Consumer Electronics Show in Las Vegas in January 2016. It was originally expected that the FF81 would be produced in China. The long-term future may be bright, but the near-term is a lot more dicey and will depend on Faraday coming up with a white knight as quickly as possible. This entry was posted on Wednesday, November 14th, 2018 at and is filed under Automakers, Automobiles, Business, China, EVs, Electrified Vehicles, Executives, Faraday Future, Financials, Investors, Lawsuits/Legal, Markets, Personalities, Technology, U.S./North America. You can follow any responses to this entry through the RSS 2.0 feed. Both comments and pings are currently closed.